I got microneedled last week. Microneedling with the SkinPen introduces literally hundreds of thousands of small channels through the skin. This microtrauma triggers new collagen and elastin production in the dermis and results in a reduced appearance of scars, pigmentation abnormalities, and fine lines/wrinkle. In the procedure, face (or other area to be treated) is numbed with a topical anesthetic. Then with overlapping strokes of the SkinPen. I found the procedure to be virtually pain-free. The only real discomfort was an urge to sneeze when treating my upper nose. 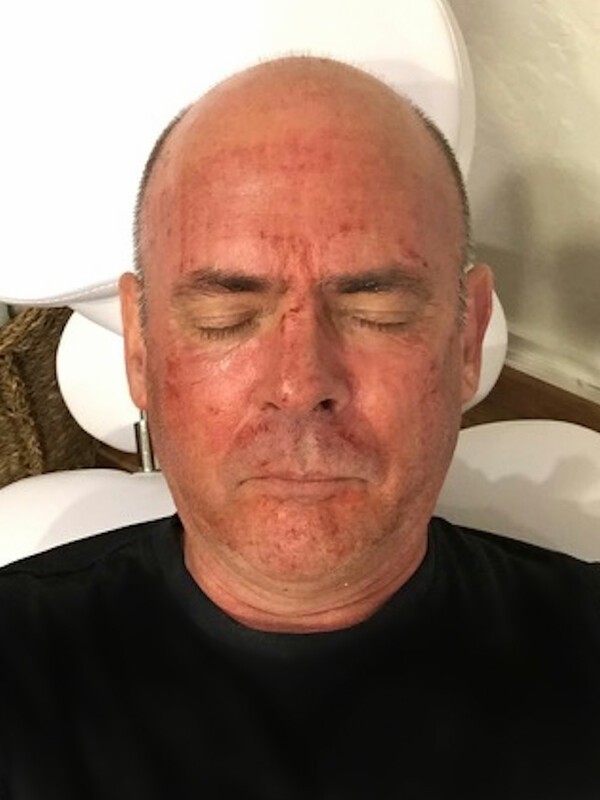 This was my first treatment and while I was not particularly "treating" anything, I do expect to see less prominent crow's feet and other wrinkles. Generally, three treatments spaced a month apart are optimal for most people. Deep acne scars may require more. We also will combine PRP ("platelet-rich plasma") for an enhanced effect with microneedling. PS The blood washes off for the most part.